CHARLOTTE, N.C. – March 7, 2017 – Sidney Minter, an attorney with the Charlotte office of labor and employment law firm, Fisher Phillips, co-chaired the Charlotte call center for the 10th Annual 4ALL Statewide Service Day on Friday, March 3. As part of a public service program of the North Carolina Bar Association Foundation, more than 500 attorneys – from Legal Aid of North Carolina, Legal Services of Southern Piedmont and private practitioners – volunteered to staff seven call centers statewide. 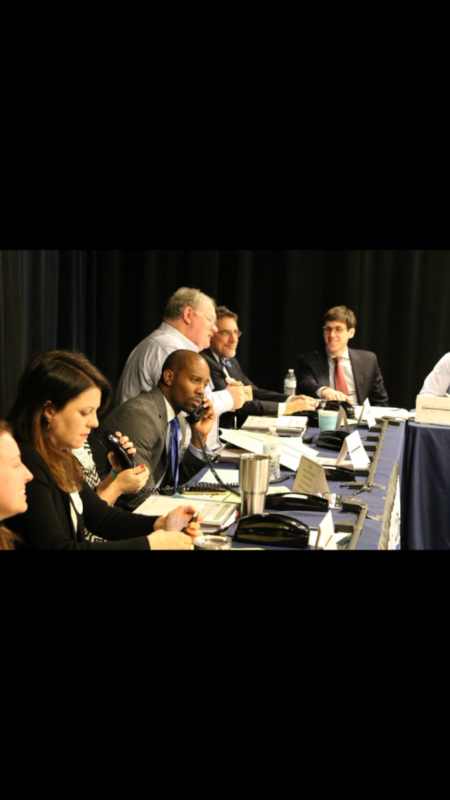 WBTV – which has served as the Charlotte 4ALL media partner for the past 10 years – hosted the Charlotte site where more than 70 volunteer attorneys answered calls from the public. Funding for the 4ALL program and many other public service projects is provided through the NCBA Foundation Endowment, which has awarded over $6 million in grants to legal services providers and law-related public service initiatives since its establishment in 1988. The mission of the NCBA Foundation is to serve the public and the legal profession by promoting the administration of justice and encouraging the highest standards of integrity, competence, civility and well-being of all members of the profession. 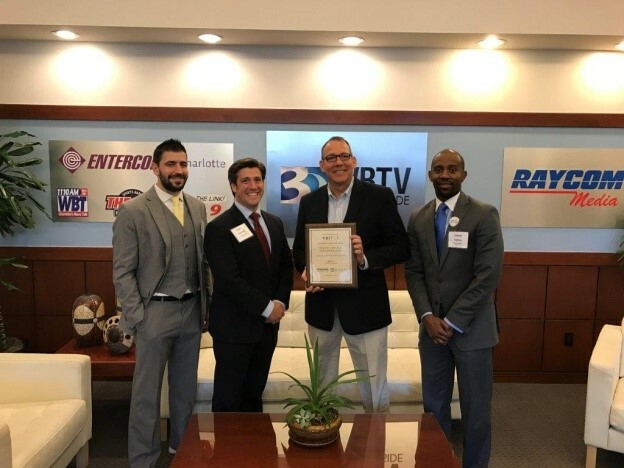 (Left to Right) Josh Goodman, Harrison Lord, Scott Dempsey (WBTV) and Sidney Minter (the Charlotte Office of Fisher Phillips) gather at WBTV, host of the 10th Annual 4ALL Statewide Service Day in Charlotte on Friday, March 3. The initiative is a public service program of the North Carolina Bar Association Foundation.